Make transplanting easy, not hard, by preventing shock to the roots. When transplanting any of your garden's prized plants, you want to make sure that you avoid sending a shock to the roots of the plant. Transplanting is unique among the gardening chores you might tackle because it's rarely an exact science. 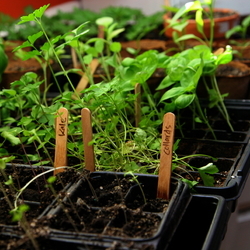 Most of the common gardening mistakes with transplanting stem from not properly acclimating your plants and their roots from the conditions that existed in their indoor pots or pods to the conditions they'll face once they're outdoors. Additionally, it's possible to go through the proper steps, but completing the process too quickly or at the wrong time can also damage root health. Indeed, many things can create a condition of shock for your plants. While the way you will know that shock has occurred is through leaves and stems, it is likely that the delicate roots of your plants are also being affected and might be the core source of the problem. One of the easiest things to do is simply move your plant too much, rearrange it, or uproot it in an aggressive way. Some plants will not react to this manhandling, but others will be deeply affected. To be sure you don't unwittingly cause harm, move your plant as delicately as possible, retaining all of the root-bound soil rather than trying to shake it free or unbind it. The roots will make their own way with time. If transplanting outdoors early in the season, a little too much exuberance to get started can result in shock. 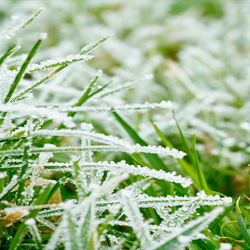 Pay strong attention to any warnings about cold; while your temperatures may not create a hard or light frost, even lower temperatures that aren't freezing can hurt a plant. This is especially true if you don't "harden off" indoor-raised seedlings in which case just the shock of a very different level of heat can affect them. If you are tempted to pour buckets of water on your newly transplants, that is often a decent impulse. However, this is only true if the water runs off appropriately; if you notice waterlogged soil, avoid watering until you can follow best practices for that kind of plant again. Root rot, while not technically shock, is also very bad for plants. Assuming that a plant needs time to adjust before watering is usually a bad impulse. Your new transplants need a lot of monitoring, and if they look at all desiccated, they may need more water. The roots have experienced at least some level of shock simply by being moved, so they need as much readily accessible water as possible until they are back to full thriving. If your plant was getting its favorite kind of light (full sun, partial sun, shade) before, and is now getting a very different level of light, it is likely to experience symptoms of shock. Again, this one is less about the roots than it affects the roots, as well as all parts of the plant: not getting the typical level of sunlight will alter its systems. Even if it does eventually thrive, it may take a little while. Good habits for plant root protection are basically just mindfully monitoring all of the above factors, but there are other ways to keep your plants safe as you transplant them or in other ways change their environments. A very weak solution of sugar and water may be a helpful way to guard against shock to the roots and to give the plant a fighting chance if shock has already set in. Basic sugars are helpful to the plant, and they'll wash away within a few days, leaving the soil at its ordinary level of nutrient density. The biggest trick to pull off is to know when to transplant; too early, and very little of the plant may have grown, while too late may mean a plant that is too big for its prior container, root-bound and under-fed. By transplanting after your plants are sturdy and strong but before they outgrow their original containers, you can prevent a lot of shock. 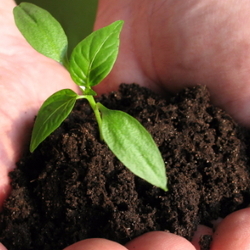 If you are growing from seeds, a further timing issue exists. Make sure you aren't planting so early that you'll face the two bad options of early transplanting into cold ground or late transplanting a rootbound plant. One of the biggest things to work toward is retaining as many of the roots as you can; pick pots that won't make it a nightmare to remove the plant with minimal breakage. Even plants with tons of roots will experience small shocks every time a root is broken, making it more susceptible to all the other factors that are in play during transplantation. Over the years, notice which planting medium and which pot helps your plants transition smoothest, with the fewest broken roots. Focus on those kinds of pot types. Protecting your plants from shock is a good idea and should be the first plan. If you must transplant, however, plants can be kept from experiencing worse shock if you are careful about water, roots, and environmental factors. Give your plants extra TLC once you do transplant them, and any initial shock symptoms should subside if you keep a vigilant eye on their progress over time.